"The U.S. Supreme Court sent a strong signal across the nation and here at home in support of tribal treaty rights. "I commend the Court for taking this case and providing the final word on a decades-long argument. 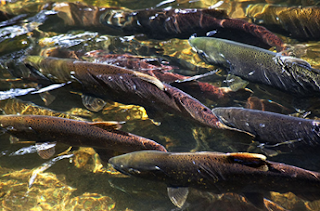 Now, it is time to set aside acrimony and disagreement, and get to work reducing barriers to fish passage. We must do whatever it takes to ensure the survival of our Chinook, kokanee, steelhead, and Coho for future generations. "Under my direction, King County departments have already been developing a culvert strategy that inventories where county roads, trails, and other infrastructure block access to habitat, and we will work with tribal and state scientists to assess where to fix them, beginning with those that bring the most benefit to salmon."